Sebastiano del Piombo (Italian: [sebaˈstjaːno del ˈpjombo]; c. 1485 – 21 June 1547) was an Italian painter of the High Renaissance and early Mannerist periods famous as the only major artist of the period to combine the colouring of the Venetian school in which he was trained with the monumental forms of the Roman school. He belongs both to the painting school of his native city, Venice, where he made significant contributions before he left for Rome in 1511, and that of Rome, where he stayed for the rest of his life, and whose style he thoroughly adopted. Born Sebastiano Luciani, after coming to Rome he became known as "Sebastiano Veneziano" or "Viniziano" ("Sebastian the Venetian"), until in 1531 he became the Keeper of the Seal to the Papacy, and so got the nickname del Piombo thereafter, meaning "of the lead", from his new job title of Piombatore. Friends like Michelangelo and Ariosto called him "Fra Bastiano". Never a very disciplined or productive painter, his artistic productivity fell still further after becoming piombatore, which committed him to attend on the pope most days, and travel with him. He also had to take holy orders as a friar, despite having a wife and two children. He now painted mostly portraits, and relatively few works of his survive compared to his great contemporaries in Rome. This limited his involvement with the Mannerist style of his later years. Having achieved success as a lutenist in Venice when young, he turned to painting and trained with Giovanni Bellini and Giorgione. When he first went to Rome he worked alongside Raphael and then became one of the few painters to get on well with Michelangelo, who tried to promote his career by encouraging him to compete for commissions against Raphael. He painted portraits and religious subjects in oils, and once he was established avoided the large fresco schemes that took up so much of the time of Raphael and Michelangelo. His earlier career in both Venice and Rome was somewhat overshadowed by the presence of clearly greater painters in the same city, but after the death of Raphael in 1520 he became Rome's leading painter. His influence on other artists was limited by his lack of prominent pupils, and relatively little dissemination of his works in print copies. Sebastiano del Piombo was probably born in Venice, though there is no certainty as to his background. His birthdate is extrapolated from Vasari's statement that he was 62 at his death in 1547. 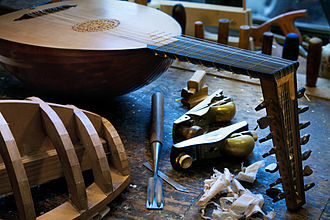 That he was first known as a musician and singer may suggest an upper-middle-class background; the extent to which his playing on the lute and other instruments was professional is unclear. Like his contemporary Raphael, his career was marked by his ability to get on well with both other artists and patrons. 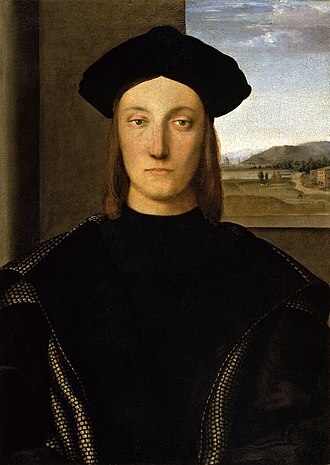 He began to train as a painter at a relatively late age, probably 18 or 20, so around 1503–05, becoming a pupil of Giovanni Bellini and probably afterwards of Giorgione, both of whose influence is apparent in his works; Vasari's mention of their relationship is rather vague: "si acconciò con Giorgione". No signed or firmly documented works survive from his period painting in Venice, and many attributions are disputed. As with other artists, some of Sebastiano's works have long been confused with Giorgione's. Like Titian, he may have completed work left unfinished at Giorgione's death in 1510; Marcantonio Michiel says he finished The Three Philosophers. The earliest significant work attributed to him is a portrait of a girl in Budapest, of about 1505. He is now usually assigned the unfinished and reworked Judgement of Solomon now at Kingston Lacy. This dramatic and imposing picture, "one of the masterpieces of Venetian narrative painting", was also long attributed to Giorgione; it may have been abandoned about 1508, though the estimated dates vary in the period 1505–1510. After extensive restoration in the 1980s, removing later overpainting, the painting is now left with traces of the three different compositions visible; still more can be seen with infra-red reflectography. Still over 2 × 3 metres, it seems originally to have been even larger, with some 40 cm lost along the left edge. There are two versions of the elaborate architectural background, which was a recurrent interest of Sebastiano's Venetian period. The last setting is in a basilica, which may reflect a "more learned" picture intended for a building holding courts of justice. The figure at the front of the executioner, left without clothes or the baby, is clearly drawn from classical sculpture. Four standing figures of saints in niches on the organ-shutters of San Bartolomeo, Venice, now in the Gallerie dell'Accademia in Venice, date from c. 1508–09, and are "very Giorgionesque", especially the pair on the insides. They were painted at the same time as Giorgione's frescos for the Fondaco dei Tedeschi (now lost) just by the church, which was the German's church in Venice, and at this time also held Albrecht Dürer's Madonna of the Rose-Garlands of 1506. The outside pair of shutters also show what Sebastiano had learnt from Bellini. Their technique has developed "from the earlier smooth surface to the application of paint in heavy brushstrokes", and the figure of Saint Sebastian shows awareness of classical sculpture. The main altarpiece for San Giovanni Crisostomo, Venice of 1510–11 shows the patron saint, Saint John Chrysostom reading aloud at a desk, a Mary Magdalene looking out at the viewer, and two other female and three male saints. The organ-shutters for the church were also painted. The style shows developments "towards a new fullness of form and breadth of movement" that may have been influenced by the Florentine painter Fra Bartolommeo, who was in Venice in 1508. Aspects of the composition were also innovative, and later copied by Venetian painters, including even Titian. Portrait of a Girl in Budapest, c. 1505, one of his earliest paintings. Saint Louis of Toulouse, from the inside of the organ-shutters of San Bartolomeo, Venice. In 1511 the Papal banker Agostino Chigi was the richest man in Rome, and a generous patron of the arts. Early in the year he was sent to Venice by Pope Julius II to buy Venetian support for the papacy in the War of the League of Cambrai. When he returned to Rome after a stay of some six months, he brought Sebastiano with him; Sebastiano was to remain based in Rome for the rest of his life. 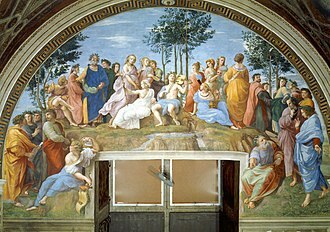 Sebastiano began by painting mythological subjects in lunettes in the Sala di Galatea in Chigi's Villa Farnesina, under a ceiling just done by Baldassarre Peruzzi. 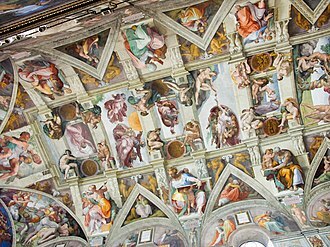 In these he already shows an adaption to Roman style, especially that of Michelangelo, whose Sistine Chapel ceiling had just been completed. Probably the next year, he added a large Polyphemus. It is possible that Raphael's famous Galatea of 1514, which is in the next bay and now dominates the room, replaced a fresco by Sebastiano. A larger cycle on the lower walls was apparently intended, but abandoned, for reasons that are not clear. Sebastiano had also been producing easel paintings from soon after his arrival, showing the development of his new style. A Death of Adonis in the Uffizi dates to about 1512–13, and shows that he "had achieved a working dialectic of Roman and Venetian classical styles", in which he "enlarged the proportion of his figures into an almost bulking massiveness, ponderous and sensuously splendid: idealizations, but of sensuous existence". By about 1515, Sebastiano had befriended and allied himself with Michelangelo, who recruited him "as a kind of deputy for him in painting", he having returned to his backlog of promised projects in sculpture. Michelangelo's intention was for Sebastiano to "contest Raphael's first place" in painting in Rome, using at least in part ideas and designs supplied by Michelangelo, whose rivalry with Raphael had become intense. 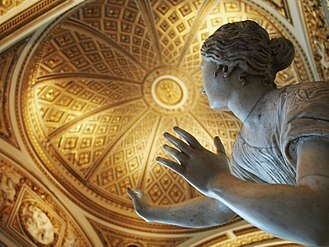 The intention may have been for a closer relationship than actually resulted, as in 1516 Michelangelo returned to Florence, only returning occasionally to Rome for several years after. 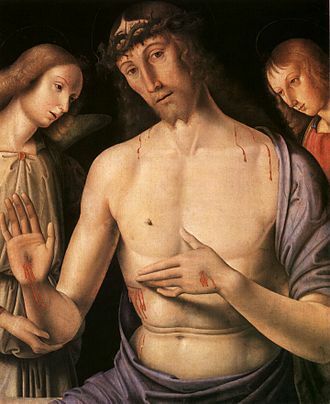 The first result of this collaboration was one of Sebastiano's most important paintings, a Pietà in Viterbo. Here the composition is highly unusual for this common subject (which Michelangelo had famously sculpted in 1498–99), with Christ lying across the bottom of the picture space, at the feet of a Virgin looking up to Heaven, so that the two figures do not actually touch. Though no drawing survives, this was Michelangelo's conception, where "an idea of high tragic power is expressed with extreme simplicity in a structure of severe geometric rigour". The back of the panels have large sketches in charcoal that seem to be by both artists. In 1516 he painted a similar subject, the Lamentation of Jesus (now Hermitage Museum) using his own composition, and showing his awareness of Raphael's handling of groups of figures. These led a Florentine friend of Michelangelo, Pierfrancesco Borgherini, to commission Sebastiano to decorate a chapel in San Pietro in Montorio in Rome; he no doubt hoped to get significant input from Michelangelo. 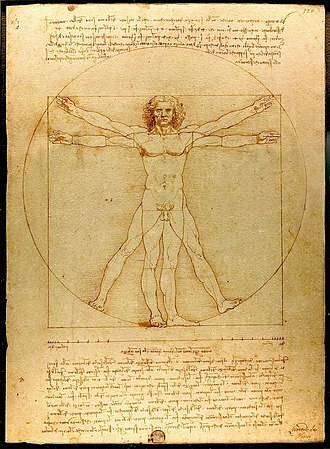 There is a Michelangelo drawing of 1516 for the Flagellation of Jesus in the British Museum, and other sketches; the final design survives only in a copy by Giulio Clovio after another Michelangelo drawing (Royal Collection). In the event there were a series of interruptions and Sebastiano did not complete the chapel until early 1524. The Flagellation is painted in oil on plaster. This was a method first practiced by Domenico Veneziano, and afterwards by other artists; but according to Vasari only Sebastiano succeeded in preventing the colours eventually blackening. The last major work of the period was the Raising of Lazarus, now in the National Gallery, London, which was commissioned in 1516 by Cardinal Giulio de Medici, archbishop of Narbonne in southern France, and the future Pope Clement VII, in blatant competition, engineered by Michelangelo, with a painting of the same size by Raphael, the Transfiguration. Both were supposed to hang in Narbonne Cathedral. Michelangelo supplied at least drawings for the figure of Lazarus and the two men supporting him (British Museum), but probably did not do any work on the painting itself, if only because he was only briefly in Rome during the time it was painted. When the two paintings were hung together in the Vatican, just after Raphael's death in 1520, both were praised, but the Raphael generally preferred, as has remained the case ever since. In the early 1520s Sebastiano completed the Borgherini Chapel with a Transfiguration in the semi-dome above his Flagellation. The combination shows the influence of the Apocalipsis Nova, a contemporary text that prophesied the coming of an "Angelic Pastor" who would bring a new age of peace. Michelangelo was among many reformist Catholics interested in the text. The Flagellation represents "the current, corrupted state of Christianity and the Transfiguration the glorious future to come". Adoration of the Shepherds, 1511–12, Fitzwilliam Museum, perhaps Sebastiano's first Roman easel painting. Sebastiano's Polyphemus next to Raphael's Galatea in the Villa Farnesina. Two of his lunettes above. Descent into Limbo, 1516, left wing of a triptych. The Hermitage Museum Lamentation of Jesus, 1516, centre part of the triptych. The Flagellation in San Pietro in Montorio, to a drawing by Michelangelo, 1516 or later. Madonna with the Veil (original version, Olomouc), c. 1525. Fresco Transfiguration in San Pietro in Montorio, by 1524. 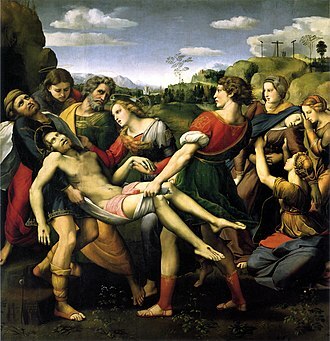 The death of Raphael in 1520, immediately before the exhibition of the two rival paintings intended for Narbonne, left Sebastiano clearly the leading painter operating in Rome. As his letters show, he immediately attempted to secure for himself the "Sala dei Pontefici", Raphael's next Vatican project, but was frustrated by Raphael's workshop, armed with the master's drawings, and his own inability to enlist Michelangelo's help, as the pope had told him to work exclusively on the long-promised Tomb of Pope Julius II. 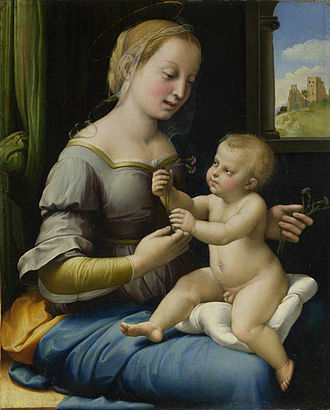 In the following years Sebastiano mostly avoided very large commissions for churches, and concentrated on portraits, where he had a considerable reputation, and religious easel paintings, such as his Visitation for France (1518–19, now Louvre), and his Madonna of the Veil (c. 1525), a very successful adaptation of Raphael's Madonna di Loreto. To both of these types he brought his refined monumental classicism. His career in the decade was greatly impacted by outside events. 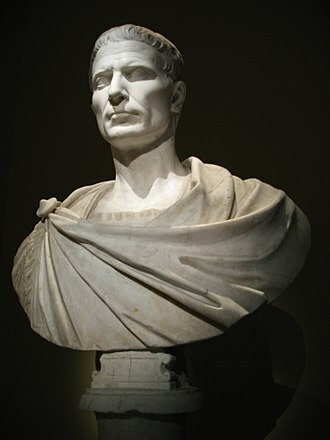 In 1522 there was plague in Rome, and he may have left Rome for a long period; there is little evidence of his activity for over a year. In 1523 Giulio de Medici became Pope Clement VII, and thereafter Sebastiano seems to have been a part of Vatican court life. He painted a number of portraits of the pope, and other paintings for him. In 1527 he seems to have remained with the pope all through the horrors of the Sack of Rome and his nervous retreat to Orvieto, though he seems to have spent time in Venice in 1528 and perhaps 1529, his first known return there since 1511. This catastrophe brought to an end the High Renaissance epoch in Rome, scattering Raphael's workshop and the emerging Roman Mannerists, and largely destroying the confidence of patrons. In 1531 the death of the previous holder allowed Sebastiano to press Pope Clement for the lucrative office of the "piombatore", which he obtained after promising to pay a fixed sum of 300 scudi annually to the other main contender, Giovanni da Udine, who was also a painter, from Raphael's workshop. To hold the position he had to take vows as a friar, despite having a wife and two children. After this his paintings, which are more often signed than dated, carry signatures such as "F(rater) Sebastianus Ven(etus)". Sebastiano's artistic output reduced after taking the court role, though possibly not by as much as Vasari suggests. Large projects, even of a single painting, could take many years to complete, as with a Pieta for Spain. This was the last piece where Michelangelo helped him with a drawing. Vasari, probably much influenced by Michelangelo, places great emphasis on Sebastiano's turning away from art for a comfortable life as a well-paid courtier from this point, but may overstate the reality. The largest fragment of the Visitation Sebastiano left unfinished; probably one of his last works, 1540s. Alnwick Castle. His friendship with Michelangelo came to an end in 1534, after a disagreement over the latter's Last Judgment in the Sistine Chapel. Sebastiano encouraged the pope to insist that this picture should be executed in oil on plaster, the technique he had developed and used. 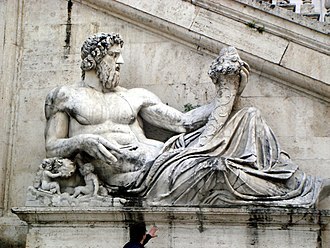 The enormous wall was prepared with the smooth plaster needed for this, with Michelangelo apparently acquiescent. There may even have been the idea floated that Sebastiano might do the painting to Michelangelo's designs. Michelangelo may also have tried painting in oils on the smooth surface. It is clear that several months after the idea of using oils first appeared, Michelangelo finally and furiously rejected it, and insisted that the whole wall be re-plastered in the rough arriccio needed as a base for fresco. It was on this occasion that he famously said that oil painting was "an art for women and for leisurely and idle people like Fra Sebastiano". Two late projects for churches were never finished by Sebastiano. A large altarpiece of the Birth of the Virgin, still in Santa Maria del Popolo, Rome, was begun in the late 1530s but had to be finished after his death by Francesco Salviati. Before his death in 1541, the executor of Agostino Chigi's estate commissioned a large Visitation as a memorial, in Santa Maria della Pace, Rome. It was still half-finished at Sebastiano's death in 1547, and was eventually removed in the 17th century. 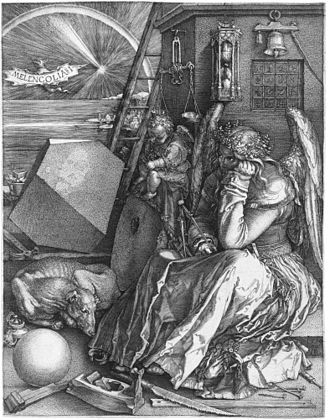 Fragments with some of the over life-size main figures are at Alnwick Castle, in a style of impressive simplicity, the end point of a "tendency to over-generalize appearances and pictorial structures so that they verged on an effect of geometrical abstraction" that had been increasing apparent in his work since his early years in Rome. Vasari records that he died after a short illness on 14 June 1547, at the age of 62. 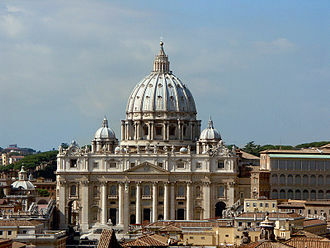 His will directed that he be buried very simply in Santa Maria del Popolo, with the savings from not having an elaborate burial given to the poor. After efforts by Daniele da Volterra his remains were moved in 1561 to the predecessor of the Rome Accademia di San Luca. Said to be Vittoria Colonna, by 1525, already showing a very simplified treatment of form. A Lady as Saint Agatha, after 1530, as signed with "F." for "Frate". Probably 1540s. Sebastiano was trained in the Venetian tradition of rich, subtly varying, colours in oil painting. In the Raising of Lazarus (1517–1519) he used a very wide range of pigments, often in complicated mixtures, and the painting can be seen as a display of Venetian skill for the Roman critics, attempting to achieve "the greatest and most subtly varied range of colours ever seen in a single painting". He became less interested in colour as his career progressed, and many later works are rather sombre, with touches of bright colour. 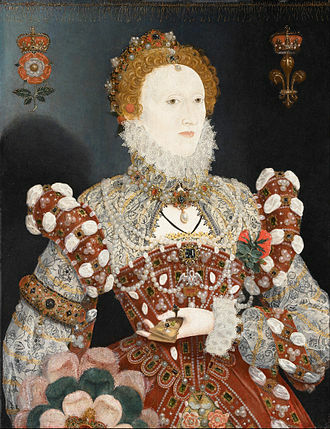 His early works generally use the Venetian technique of freehand underdrawing on the surface to be painted, no doubt following a relatively approximate sketch, as was his technique for the Kingston Lacy Judgement of Solomon. 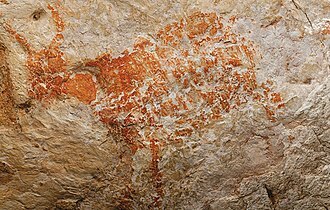 But after some years in Rome he began to use full-size cartoons for frescos, which were pricked along the lines and then soot "pounced" through, to give dotted lines on the surface for the artist to follow. 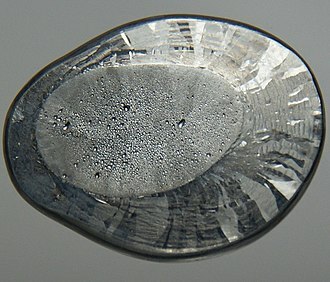 This technique, normal in Florence and Rome, was used in the fresco Transfiguration of the Borgherini Chapel, for which some pricked sheets survive. However, this was his last work in fresco. From early on he was innovative and ready to experiment in compositional details as well as technique, with a special interest in painting in oils on new surfaces, whether plaster, stone, alabaster or slate. Though tending to be dark, several of his works with these unorthodox backings have survived well. 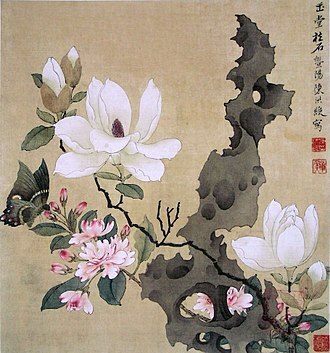 Though he often covered the whole surface, leaving no indication of the support, some of his paintings on mineral sheets leave the background unpainted. This is the case with a small head of Clement VII in Naples, wearing the beard he always had as a penance after the Sack of Rome. He made excellent drawings, nearly all as compositional sketches. He continued to prefer to draw on light blue paper in black chalk with white highlights, a Venetian habit. Few if any early ones survive, and he may have changed his methods to use more precise sketches under the influence of Michelangelo and Raphael. Few survive for his portraits. A British Museum "curator's comment" on one of their late drawings notes: "As so often with Sebastiano's drawings, the first impression is one of unrhythmic dryness; but the suggestion of atmosphere, the sensitively drawn contemplative faces and the subtle use of reflected lights and tonal transitions leave no doubt that [this] is from his own hand. Sebastiano seems to have followed Michelangelo in painting with "no more than merely mechanical assistance" from a studio, and had no significant pupils formed in his style. Whether this was a cause or result of his avoidance of large compositions and his court office from the 1530s we cannot know. 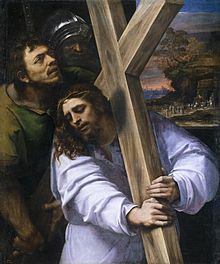 Christ Carrying the Cross, about 1513–14, showing "how rapidly he assimilated Michelangelo's monumental treatment of the figure", even before they became close. The main sources for his personality and habits are Vasari and surviving letters, mostly to and from Michelangelo. Vasari knew Sebastiano, but probably not very well; although he had been compiling material for some time, the first edition of his Lives did not appear until 1550, after Sebastiano's death, and it is not clear if he had specifically discussed the biography with Sebastiano. He knew Michelangelo rather better, and his description of Sebastiano is probably heavily influenced by the hostile attitude Michelangelo had towards Sebastiano after 1534. Vasari takes up much of his Life bemoaning Sebastiano's supposed indolence and neglect of his artistic talent for a comfortable and convivial life, at least after 1531. Vasari says that in later life he lived in a fine house near the Piazza del Popolo, keeping a very good table, and often entertaining regular friends as well as visitors. He says he was always cheerful and humorous, and very good company. He became red-faced and rather fat, as the bearded portrait in the Lives suggests. As described above, he had become close to Michelangelo by about 1515. Though they eventually fell out, few people were able to remain on good terms with Michelangelo for a period of nearly twenty years. In 1519 Michelangelo became godfather to Sebastiano's first son, Luciano, after which Sebastiano addressed his letters to "My dearest compare" ("godfather"). The relationship suffered a dip in 1520 when Sebastiano asked Michelangelo to write to Cardinal Bibbiena, a close friend of Pope Leo X, recommending Sebastiano for projects in the Vatican after Raphael's death. Michelangelo sent the letter a month or so later, which Sebastiano presented to the cardinal, without reading it. The letter was in very flippant terms, and Sebastianio complained that it became "practically the only topic of conversation at the Palace, and it makes everyone laugh". Nor did it work in getting Vatican commissions. In 1521 he acted as Michelangelo's agent in the installation of the Risen Christ or Cristo della Minerva in Rome, which was botched by the assistant Michelangelo had sent. From 1525 there is a draft for an emotional letter by Michelangelo passing on praise for Sebastiano by one "Captain Cuio", who he had dined with. In 1531 Sebastiano writes a despondent letter describing how "I still don't feel I am the same Bastiano that I was before the Sack; I still don't feel in my right mind." The relationship never recovered from the argument over the Last Judgement in 1534, described above. 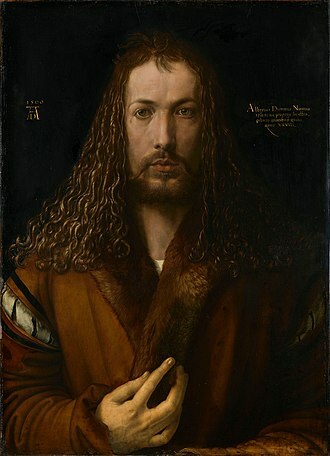 Portrait of a Humanist (1520) National Gallery, Washington D.C.
^ Hirst, 210–211, 211 quoted; Lucco, giving dates different by a few years, " c. 1505. 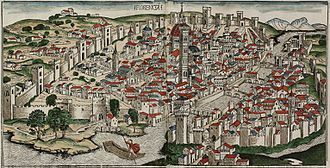 ... probably abandoned by Sebastiano some time before 1507"; Freedburg, 142–143, placing it in 1508. ^ Lucco; for the rather uncertain sequence of these works, see Jones & Penny, 93. Vasari says that the Galatea was earlier than the Polyphemus, but this may be wrong. 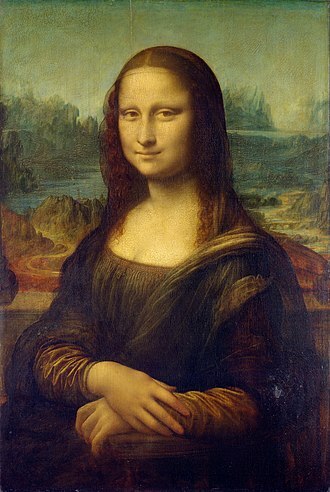 ^ Freedburg, 113, quoted; Vasari says there was a drawing. ^ Vasari; Lucco; M&S, "Room 5"
^ Lucco; M&S, 41, 42 etc. ^ British Museum collection database, 1935,0713.2, "Four standing women; one in foreground with a bowl balanced on her head, ....", a study for the late Visitation in Sta Maria della Pace. Hirst, Michael in Jane Martineau (ed), The Genius of Venice, 1500–1600, 1983, Royal Academy of Arts, London. "M&S": Exhibition handlist with captions for "Michelangelo & Sebastiano", 2017, National Gallery. Refs to catalogue numbers, or, if stated, sections. Vasari, "Life of Sebastiano del Piombo"
Wikimedia Commons has media related to Sebastiano del Piombo. The Three Philosophers is an oil painting on canvas attributed to the Italian High Renaissance artist Giorgione. It shows three philosophers - one young, one middle-aged, and one old, the work was commissioned by the Venetian noble Taddeo Contarini, a Venetian merchant with an interest in the occult and alchemy. The Three Philosophers was finished one year before the painter died, one of Giorgione’s last paintings, it is now displayed at the Kunsthistorisches Museum in Vienna. The painting was finished by Sebastiano del Piombo, the Three Philosophers was finished around 1509, and the current name of the work derives from a writing of Marcantonio Michiel, who saw it just some years after in a Venetian villa. The three figures portrayed are allegorical, an old bearded man, possibly a Greek philosopher, an Arab philosopher, in the background is a village with some mountains, the latter marked by a blue area whose meaning is unknown. 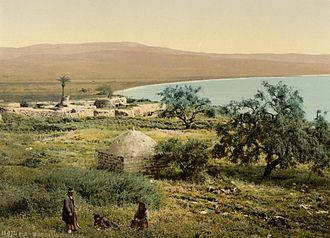 The young man is observing a cave on the left of the scene, since the end of the 19th century scholars and critics rejected on various grounds the earlier view that it is a representation of the three Magi gathered before Jesus grotto. Various interpretations about Giorgiones picture have been proposed, the old man is representing a Greek philosopher, such as Plato or Aristotle, whose writings have been copied and transmitted through the Arab philosophers to the Italian Renaissance. The Arab philosopher is possibly representing the polyhistor Avicenna or Averroes, the young man could be seen as the new Renaissance science with roots in the past, looking into the empty darkness of the cave, symbolizing the yet undiscovered secrets. The cave might symbolize the concept of Platos Cave New hypotheses about the figures, their identities. 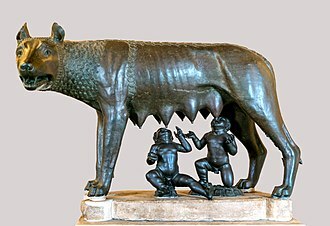 In a note about the picture G. C, early in the 20th century, stated that It represents Evander and his son Pallas showing to Aeneas the future site of Rome. The possibility that the three men are King Solomon, Hiram I, King of Tyre, and Hiram Abiff has been advanced by Neil K. MacLennan and Ross S. Kilpatrick. It has been suggested that the figure of the man can be inscribed neatly in a right-angled triangle for which the Pythagorean theorem applies. Adonis, in Greek mythology, is a central figure in various mystery religions. There has been much scholarship over the centuries concerning the roles of Adonis, if any. Modern scholarship sometimes describes him as a renewed, ever-youthful vegetation god. His name is applied in modern times to handsome youths. Syrian Adonis is Gauas or Aos, akin to Egyptian Osiris, the Semitic Tammuz and Baal Hadad, the Etruscan Atunis and the Phrygian Attis, all of whom are deities of rebirth and vegetation. Circa the sixth century BC, the appearance of the cult of Adonis is reported in Jerusalem by the biblical Book of Ezekiel, the most detailed and literary version of the story of Adonis is a late one, in Book X of Ovids Metamorphoses. The central myth in its Greek telling, daughter of Theias, king of Assyria, Theias finds out and is determined to kill her, when the gods intervene and turn her into a myrrh tree. Nine months the baby Adonis comes out of the tree, Aphrodite fell in love with the beautiful youth. Aphrodite sheltered Adonis as a baby and entrusted him to Persephone. Persephone was taken by Adonis beauty and refused to him back to Aphrodite. The dispute between the two goddesses was settled by Zeus, Adonis was to spend one-third of every year with each goddess and he chose to spend two-thirds of the year with Aphrodite. Adonis died in Aphrodites arms, who came to him when she heard his groans, when he died she sprinkled the blood with nectar, from which sprang the short-lived anemone, which takes its name from the wind which so easily makes its petals fall. And so it is the blood of Adonis that each spring turns to red the torrential river, Afqa is the sacred source where the waters of the river emerge from a huge grotto in a cliff 200 metres high. It is there that the myth of Astarte and Adonis was born, adoniss birth is shrouded in confusion for those who require a single, authoritative version, for various peripheral stories circulated concerning Adonis parentage. The most widely accepted version is recounted in Ovids Metamorphoses, where Adonis is the son of Myrrha, Myrrha turned into a myrrh tree and Lucina helped the tree to give birth to Adonis. Giovanni Bellini was an Italian Renaissance painter, probably the best known of the Bellini family of Venetian painters. His father was Jacopo Bellini, his brother was Gentile Bellini and he is considered to have revolutionized Venetian painting, moving it towards a more sensuous and colouristic style. Through the use of clear, slow-drying oil paints, Giovanni created deep, rich tints and his sumptuous coloring and fluent, atmospheric landscapes had a great effect on the Venetian painting school, especially on his pupils Giorgione and Titian. Giovanni Bellini was born in Venice and he was brought up in his fathers house, and always lived and worked in the closest fraternal relation with his brother Gentile. Up until the age of nearly thirty we find in his work a depth of religious feeling and his paintings from the early period are all executed in the old tempera method, the scene is softened by a new and beautiful effect of romantic sunrise color. Giovannis early works have often been linked both compositionally and stylistically to those of his brother-in-law, Andrea Mantegna, none of the masters works of this kind, whether painted for the various schools or confraternities or for the ducal palace, have survived. As is the case with a number of his brother, Gentiles public works of the period, the still more famous altar-piece painted in tempera for a chapel in the church of S. Giovanni e Paolo, where it perished along with Titians Peter Martyr, after 1479–1480 much of Giovannis time and energy must have been taken up by his duties as conservator of the paintings in the great hall of the Doges Palace. Of the other, the class of his work, including both altar-pieces with many figures and simple Madonnas, a considerable number have fortunately been preserved. The old intensity of pathetic and devout feeling gradually fades away and gives place to a noble, if more worldly, the full splendour of Venetian color invests alike the figures, their architectural framework, the landscape and the sky. An interval of years, no doubt chiefly occupied with work in the Hall of the Great Council, seems to separate the San Giobbe Altarpiece. Formally, the works are similar, so a comparison between serves to illustrate the shift in Bellinis work over the last decade of the 15th century. Saint Louis of Toulouse was a cadet of the royal French house of Anjou who was made a Catholic bishop. He was born in Brignoles, the son of Charles of Anjou the Lame and Maria Arpad of Hungary. His father was appointed King of Naples by Pope Clement IV, the boy was himself a nephew of Saint Louis and of Mary of Hungary, and the aunt of Saint Louis mother was Saint Margaret of Hungary. The boys were taken to Catalonia, where they were placed under the care of Franciscan friars for their education, impressed by one of the friars in particular, Arnauld de Villenueve, Louis took up the study of philosophy and theology. Though still held in captivity, Louis was made archbishop of Lyon as soon as he reached his majority. On 5 February 1297, Louis was consecrated Bishop of Toulouse by Boniface VIII, where his uncle, Alphonse of Toulouse had until recently been Count, after just six months, apparently exhausted by his labors, he abandoned the position of Bishop. Shortly thereafter he died at Brignoles of a fever, possibly typhoid, two music theory treatises, De musicae commendacione and Sentencia in musica sonora subiecti, are sometimes attributed to him, but are now thought to be the work of Lodewijk Heyligen. Procedures for his canonization were quickly urged and his case was promoted by Pope Clement V in 1307, and he was canonized by John XXII on 7 April 1317 with the bull Sol oriens. His brother Robert at Naples who owed his crown to Louis commissioned an altarpiece from Simone Martini, depicting Louis with that other saint in the family. The cult of St Louis of Toulouse became relevant in the Medieval Hungary and he can be recognized in iconography as a boy bishop, often with a discarded crown by his feet. A polyphonic motet, Flos/Celsa/Quam magnus pontifex, was written in honor of Louiss canonization in 1317, the piece appears anonymously in the Ivrea Codex and has been attributed by modern scholars to Philippe de Vitry. Mission San Luis Obispo de Tolosa, a Franciscan mission in California founded in 1772, is named for him as are the city and county of San Luis Obispo. Kolleg St Ludwig in Vlodrop, the Netherlands, was dedicated to him, the college was founded by Franciscan monks in 1905. It had more than 3000 students until the college was closed, the building had a large statue of Saint Ludwig of Toulouse on the front of the building. Fra Bartolomeo or Bartolommeo OP, known as Bartolommeo di Pagholo, Bartolommeo di S. Marco, and his original name Baccio della Porta, was an Italian Renaissance painter of religious subjects. 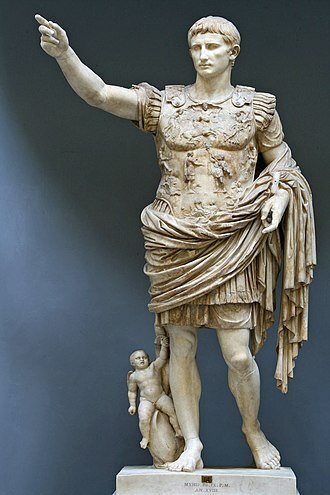 He spent all his career in Florence until his mid-forties, when he travelled to work in various cities, as far south as Rome. He trained with Cosimo Roselli and in the 1490s fell under the influence of Savonarola and he remained friends with Raphael, and they both influenced the other. His portrait of Savonarola remains the most famous image of the reformer, Fra Bartolomeo painted both in oils and fresco, and some of his drawings are pure landscape sketches that are the earliest of this type from Italy. He was born in Savignano di Prato, Tuscany and he received the nickname of Baccio della Porta for his house was near the Gate of San Pier Gattolini. Starting from 1483 or 1484, by recommendation of Benedetto da Maiano and he was one of the greatest painters of his time. In 1490 or 1491 he began a collaboration with Mariotto Albertinelli, in the late 1490s Baccio was drawn to the teachings of Fra Girolamo Savonarola, who denounced what he viewed as vain and corrupt contemporary art. Savonarola argued for art serving as a visual illustration of the Bible to educate those unable to read the book. From 1498 is his famous portrait of Savonarola, now in the Museo Nazionale di San Marco in Florence, the following year he entered the convent of San Marco. He renounced painting for several years, not resuming until 1504 when he became the head of the workshop in obedience to his superior. In that year he began a Vision of St. Bernard for Bernardo Biancos family chapel in the Badia Fiorentina, soon thereafter, Raphael visited Florence and befriended the friar. Bartolomeo learned perspective from the younger artist, while Raphael added skills in coloring and handling of drapery, with Raphael, he remained on the friendliest terms, and when he departed from Rome, left in his hands two unfinished pictures which Raphael completed. 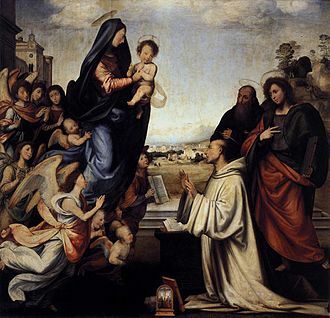 As the Dominicans did not pay for the work, he took it back to Lucca, in Lucca, in the October 1509, he painted by Albertinelli an altarpiece with Madonna and Child with Saints for the local cathedral. Laura (1506) Kunsthistorisches Museum, Vienna, Austria. Sleeping Venus (c. 1510) Gemäldegalerie Alte Meister, Dresden, Germany. The Tempest (c. 1508) Gallerie dell'Accademia, Venice, Italy. Saint Louis de Toulouse with the Hungarian-Anjou coat of arms on his chest. Image from the Hungarian Illuminated Chronicle. Saint Louis de Toulouse, 1450, by Antonio Vivarini. Louvre Museum.